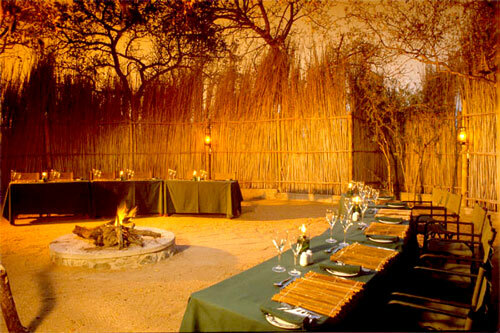 Drifters also offer the luxury Drifters Game Lodge for the discerning bush lover. 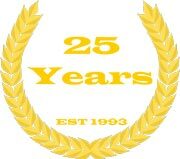 However, the Drifters philosophy still stands. Take a few extra days to adjust to the smells, sounds and taste of Africa. Accommodation in luxury thatched suites. Accommodation - Eight well-spaced luxury, insect-proof suites under thatch. 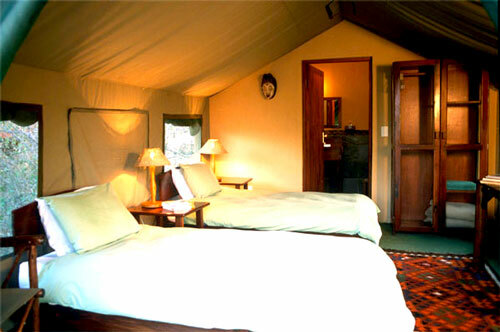 Accommodation is in eight well-spaced luxury, insect-proof suites under thatch. Each suite has an inner tented sleeping chamber, offering the occupants the full spectrum of the sounds of the African night without compromising safety. All suites are comfortably appointed with electricity, full bathroom with shower and a private patio overlooking the seasonal Mohlabetsi riverbed. The central lodge building offers broad shady verandas and a comfortable lounge over-looking our rock pool. This feature pool is for those who wish to enjoy a refreshing swim or tan under the African sun. Your expert ranger will teach you about the habits of the Lion and the Rhinoceros, and how to identify the ferocious little Antlion and the Giant Rhinoceros Beetle. For the more adventurous we encourage game walks under the guidance of an armed ranger or you may choose one of our open-vehicle drives. 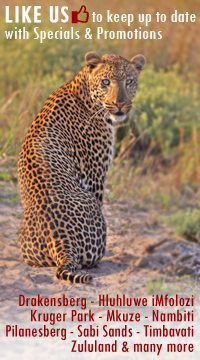 Animals encountered during your stay are in a totally wild and natural environment, and good game sightings are guaranteed. We are especially proud of our abundant birdlife, which is attracted by the riverine forest. 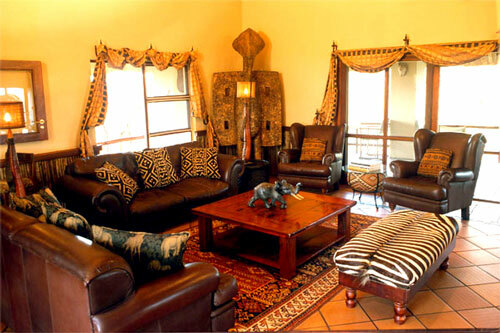 Guests will be woken up round 06h00 in the morning and will congregate in the central lodge building for some tea/coffee and rusks before departing on an early morning game drive/walk. Brunch will be enjoyed on the veranda on your return, around about 10h00. The rest of the day is at guests own leisure to do some bird watching, reading, maybe enjoy a little siesta etc. 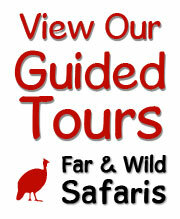 At 15h00 tea and snacks will be served before departing on afternoon game drive, itinerary as above.